TORQ-Fuelled Ultra Runner, Stephen Birkenshaw, this coming Saturday sets off on the most epic challenge of his career to date on 14th June. Steve is attempting to break the 27-year-old Wainwrights record set by Joss Naylor in 1987, of summiting all 214 hills or mountains that feature in Alfred Wainwrights guide to the Lakeland Fells in a single run. At 45 years old, Steve is an accomplished adventure racer and fell runner with multiple wins of the Original Mountain Marathon and in 2012 he won the Dragon’s Back Race, believed by many to be the toughest adventure race on the planet. 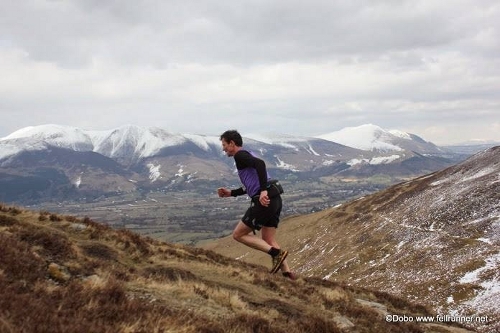 On June the 14th (this Saturday) he aims to beat the current Wainwrights record of seven days, one hour and 25 minutes. Planning his own route to complete the 214 tops, with 512km of distance, including 36,000m of ascent, he hopes to take 11 hours off the current record. Stephen talk us through his route. “I seriously started to think about running the Wainwrights about a year ago, since when I have been regularly asking myself whether it is possible to beat Joss Naylor’s time. Joss is an amazing athlete and as tough as they come. In 1987, he was able to run through pain over long periods of time, so to even contemplate breaking his Wainwrights record is very daunting. Steve Birkinshaw will be raising money for two multiple sclerosis (MS) charities during his run. His sister has MS and he has created donation pages for both the national MS Society and a local charity, the Samson Centre. How did you discover TORQ products? “On a previous challenge I was struggling a bit and one of my supporters gave me a TORQ bar. I was very impressed with how moist it was and easy to eat and even better after a few minutes I started to pick up and run faster”. How will they help your Wainwrights adventure? 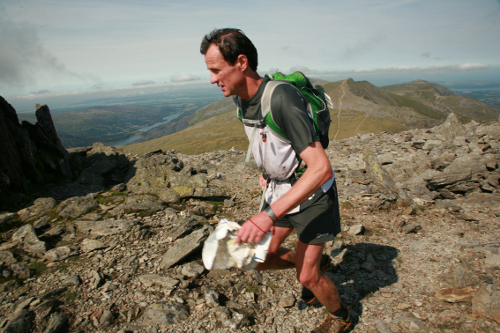 “Being able to eat well for seven days (as well as not getting injured) is a going to be the key to running the Wainwrights. The TORQ products will provide a great source of energy and are easy to digest so they will make a massive difference. The fact that they are made from natural organic ingredients is also important, for a short race I can eat anything that gives a bit of energy but for seven days I want to be eating natural organic ingredients”. What’s your favourite product from the range? “I like all the bars, but of the gels my favourite is the Rhubarb and custard”. What’s your plan for real food vs TORQ for such a long distance? “As it is such a long way I am planning on having a normal meal each time I meet the support crew at a road crossing (about 3 times a day). From recent experience I have found the more I eat food that I have in a normal day, the more my body is used to it and the fewer stomach issues I have. However, I obviously need more food than a normal day and whilst I am moving I will eat TORQ products. This will include bars, gels and energy drinks. I am also planning on having a Torq recovery drink just before I stop for a sleep (it will only be 4 hours)”. We wish Stephen all the best with the epic challenge and look forward to following his progress during the run. You can follow Stephen on the run via his live tracker and via the TORQ Running Facebook page. You can also find some more information on the challenge via Stephens blog here.